The Florence Plantation house is no longer at its original site but at another location in Louisiana. It is not known in which room this paper was originally installed. What is certain is that this “papier peint” is French. Wallpapers imported from France were popular throughout America of the early 19th century and Louisiana was no doubt replete with them. 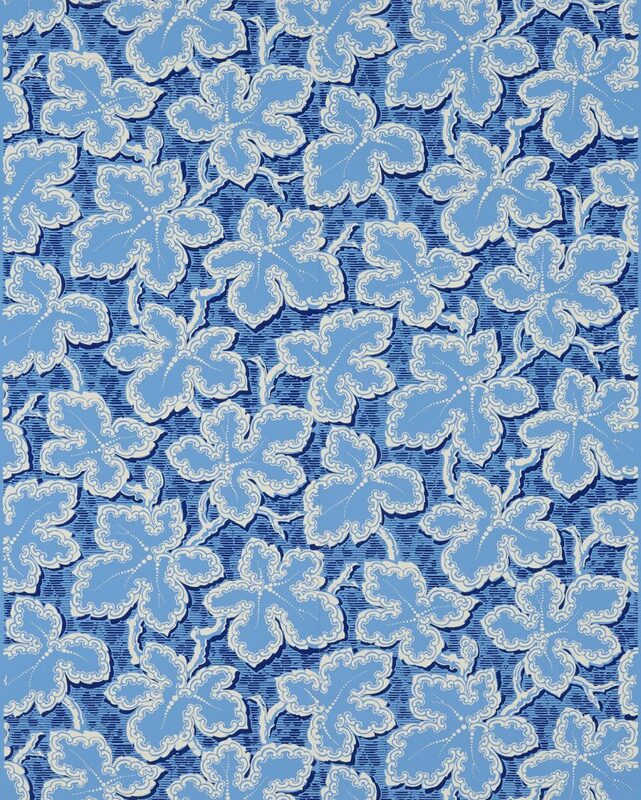 Only two printing blocks were needed to create this lively pattern: one to print the primary image and another to print the hints of foliage and shadows. The dramatic coupling of light versus dark and the graphic design are characteristic of French patterns of the 1830s. The pattern’s expansive structure make it most suitable for large rooms. Imperial Measurements: Repeat 20 ⅛ inches, width 18 ½ inches, length 11 yards, half-drop match. Metric Measurements: 51.1 cm, 47 cm, 10 m.